There is nothing like being financially independent, What if you get an additional source of income by being your own boss and in the process empower people with financial wisdom. Mymoneysage an award winning wealth management platform offers an exclusive opportunity to become a Business partner, As a business partner you will be able to propagate innovative financial products and services of mymoneysage. We have all the expertise and technology which we have acquired through our constant Research and innovation. 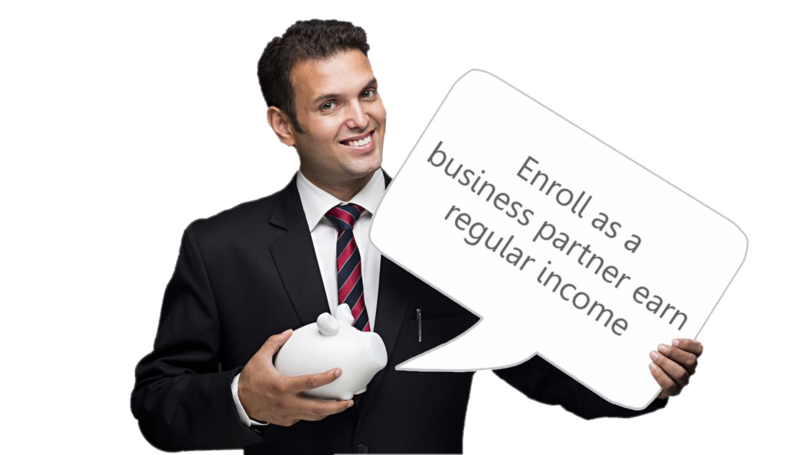 We will share the same with you and train you, so that you can learn as well as earn. Basic understanding of financial products. Suitable for retired executives, small business owners, employees looking for additional income & homemakers . Experience/Expertise in the financial services like Insurance, Chit Funds, Loans, Stock Broking, Real Estate, Accounting and Auditing will be an added advantage. High level of integrity & ethics. High degree of customer orientation. Training and support fee of INR 8600/-. Mymoneysage Platinum membership (Financial Planning & Wealth Management). Mymoneysage Gold membership (MF / Equity). Research support online as well as offline.